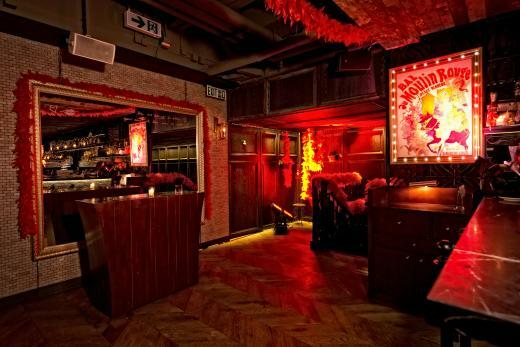 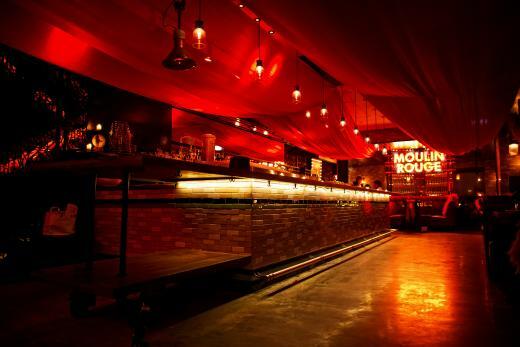 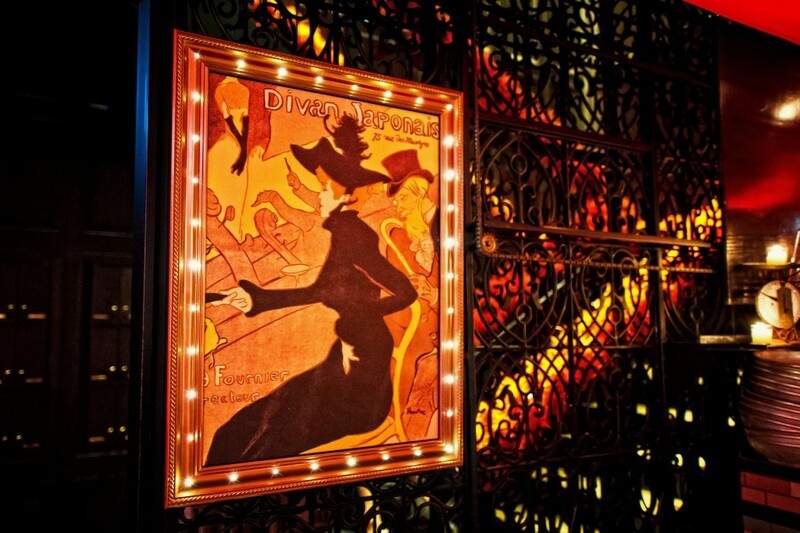 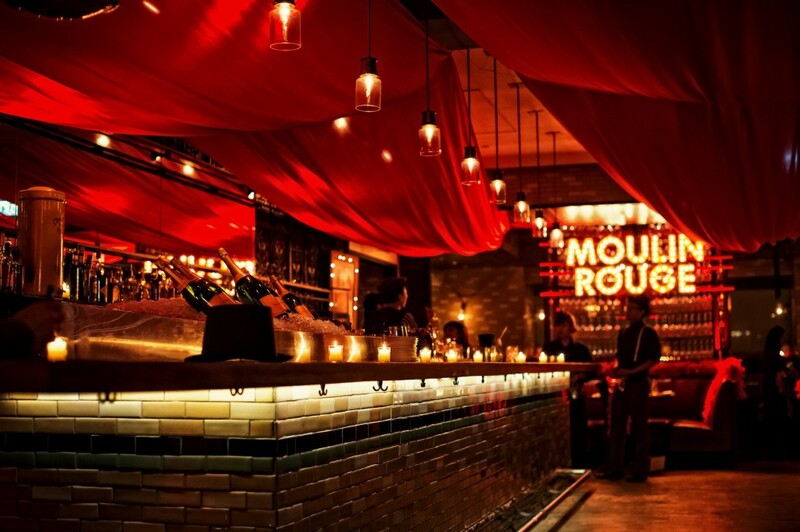 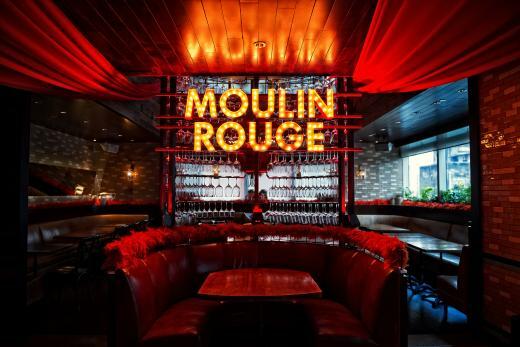 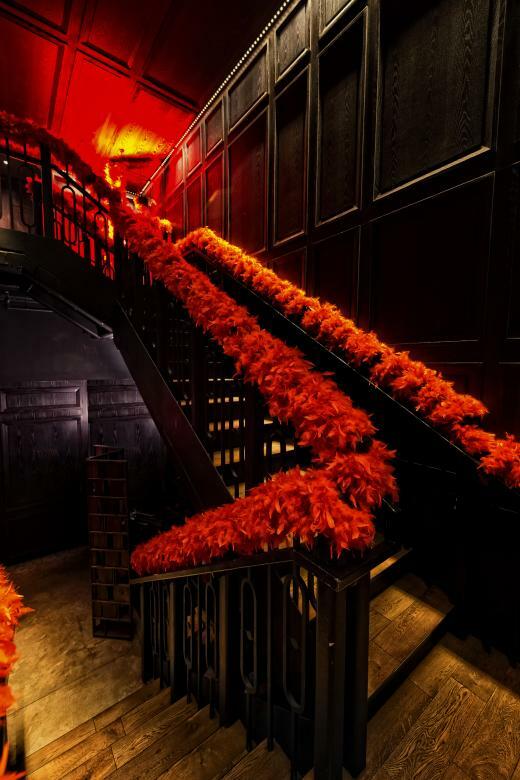 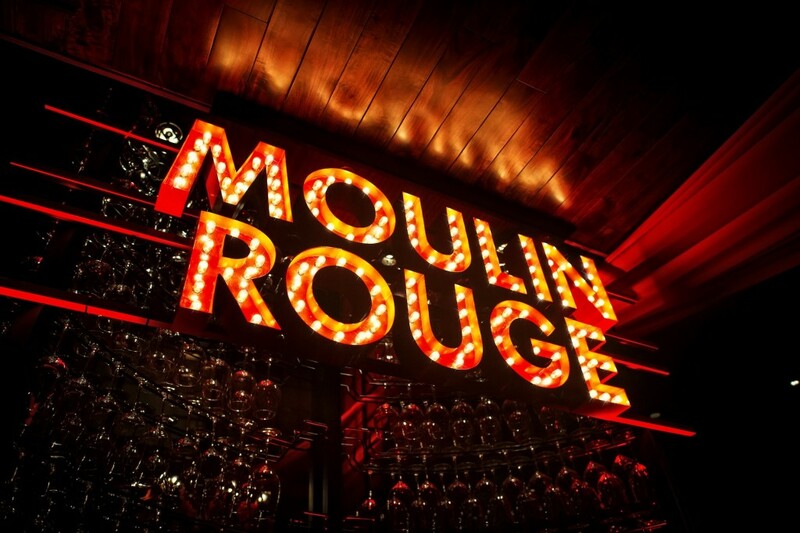 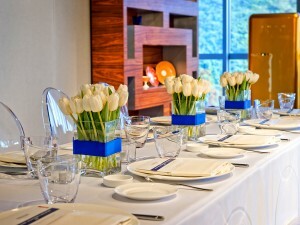 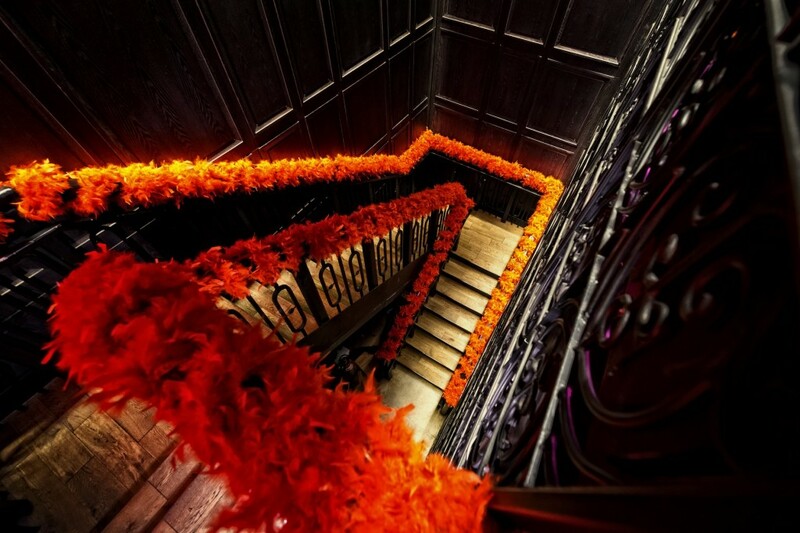 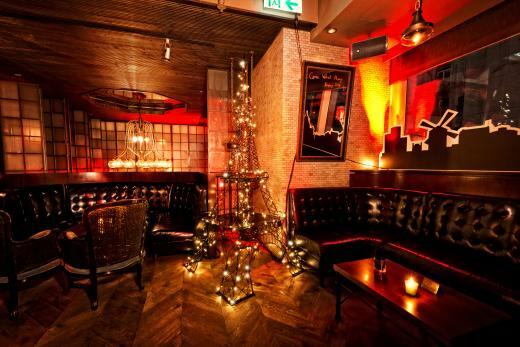 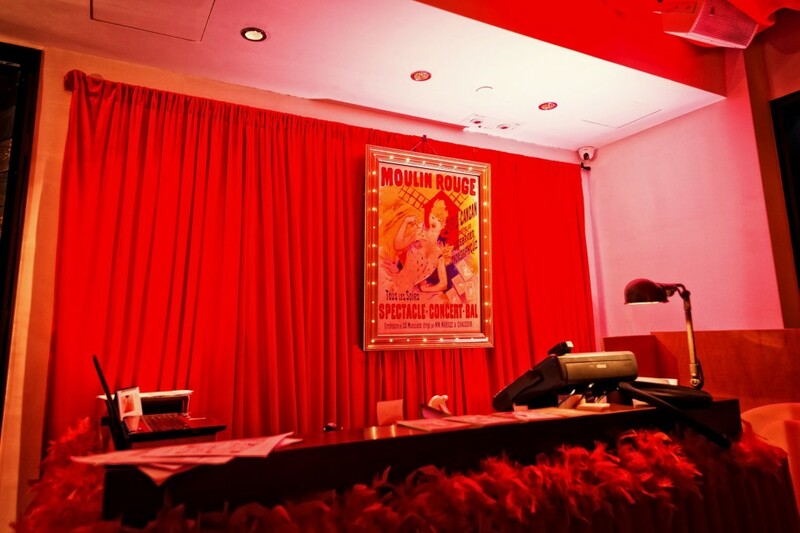 We were asked by Buzz Concepts to design & create the glamor of the Moulin Rouge for New Years Eve with a Moulin Rouge themed party at Lily & Bloom in LKF. 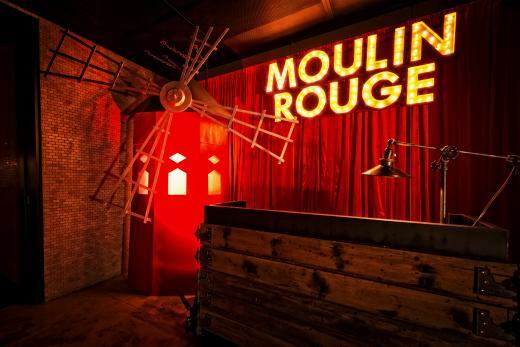 We designed and hand-built installations and props, from the famous windmill to vintage-style marquee lighting and old style street lamps. 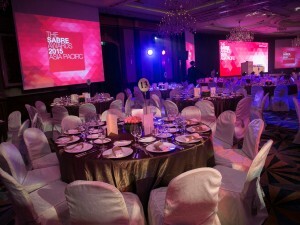 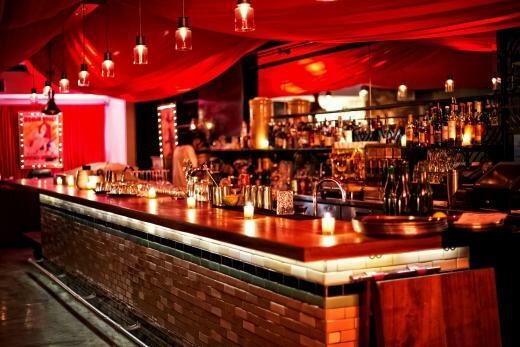 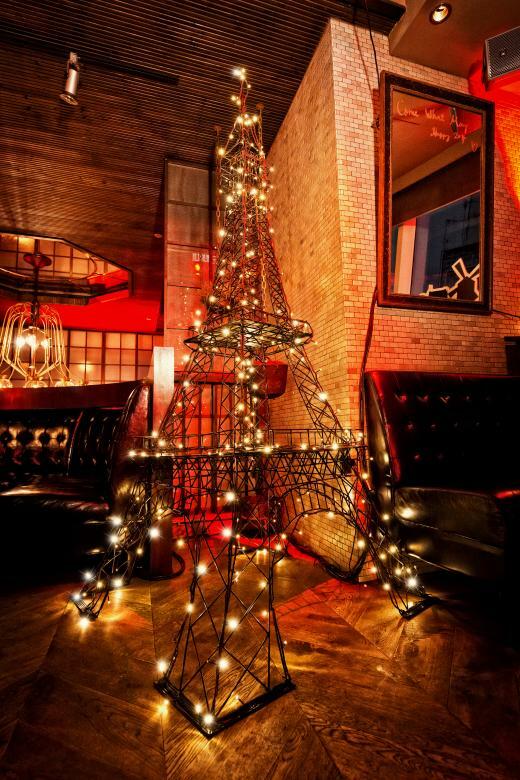 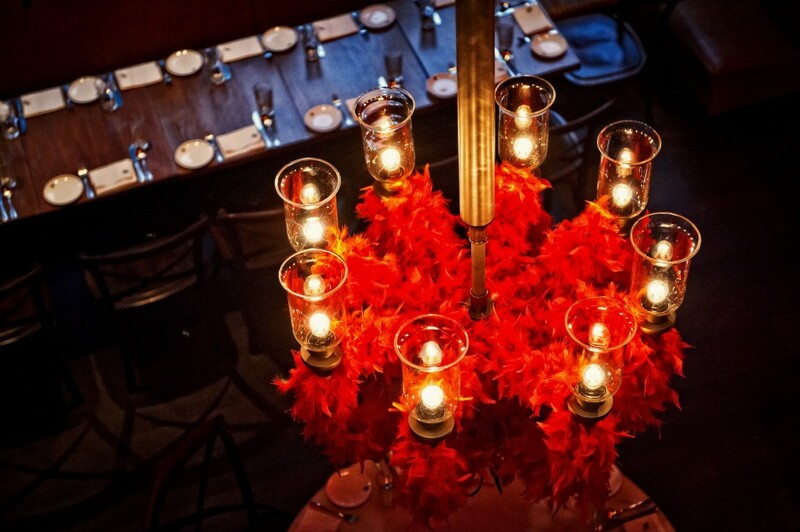 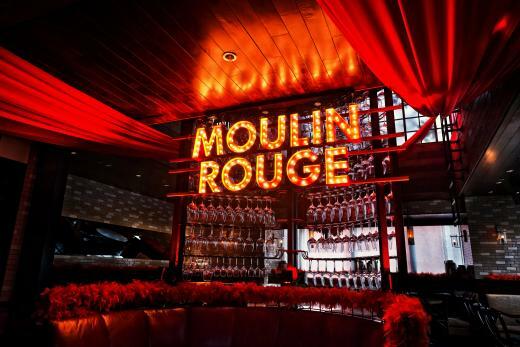 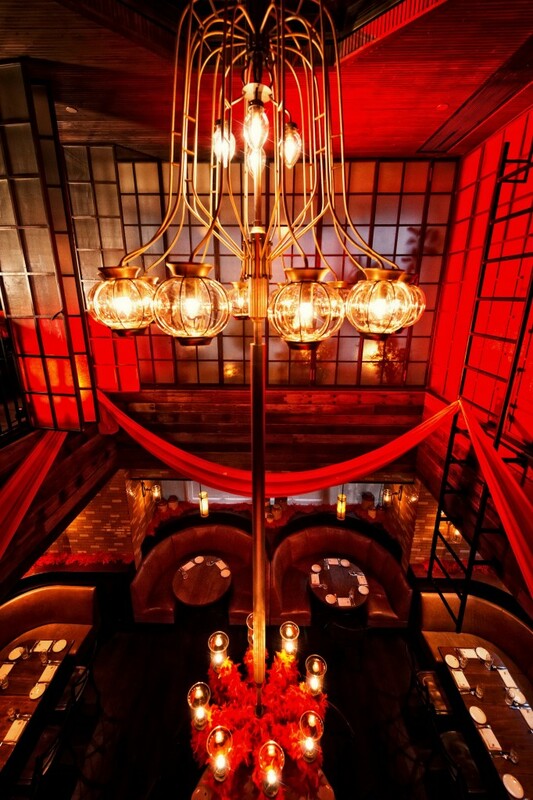 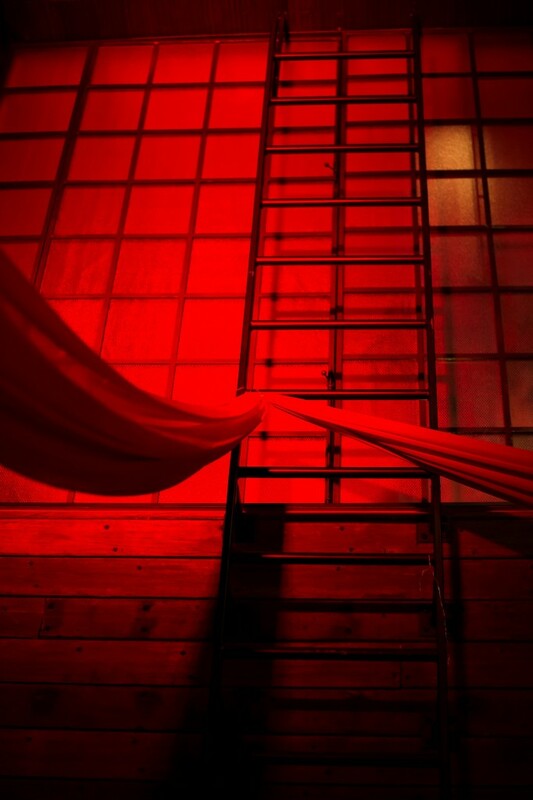 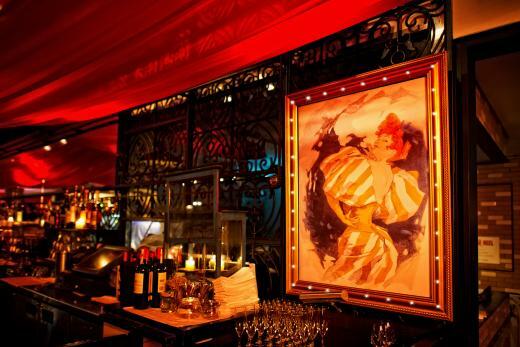 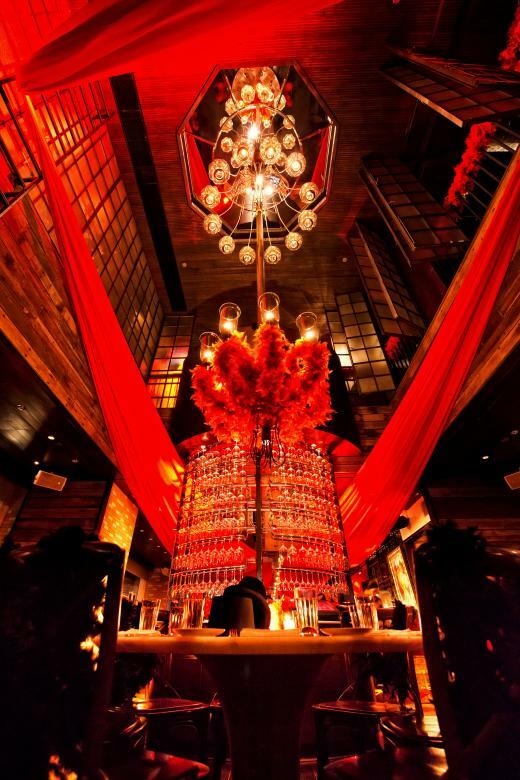 Cabaret-style wall art in gilded frames, a finely detailed metal replica of the Eiffel Tower and endless red drapes and feather boas with red lighting all helped to whisk party goers back in time, to a world of pure indulgence!